The Austrian school of economics has experienced a renaissance in recent decades. Its adherents have put their distinctive paradigm to work in nearly every field of economics. 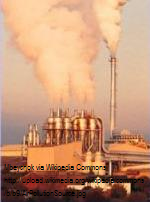 This post is the first of two that will examine the Austrian approach to environmental economics, with special emphasis on the problem of air pollution. A distinctive feature of the Austrian approach is approach is the idea that environmental issues are problems of coordination. As Roy Cordato puts it, they are “not about harming the environment, but about human conflict over the use of physical resources.” The Austrian paradigm differs in that regard from that of the neoclassical school, which looks at environmental problems in terms of efficiency and maximization of social welfare, and from that of ecological economics, which frames the issues as conflicts between humans and nature.